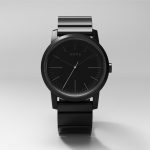 The Sony Wena is a traditional analog wrist watch with "smart" features built into the wristband or "bracelet" as its called. It is available in two models, silver or black. The company funded the watch via their First Flight Japanese crowdfunding platform. The band has a bunch of sensors, including an NFC chip so you can make contactless payments with the watch. 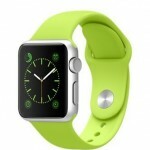 It also has an accelerometer for fitness tracking, a seven-color LED for notifications, and vibration alerts. The body has an IPX7 water resistant rating, so you can leave it on while doing the dishes or in the shower.